Now that we’re in a fresh, new year I thought I’d share some of my hopes and plans for my blog. When I started blogging I really had no idea what I was doing. I just wanted to basically write down my life, and the stuff I was getting up to with my kids, and hope some people might want to read about it. That was fine at the time, but now that I know more about blogging, and how this whole thing works, I’m trying to focus my blog a bit more. 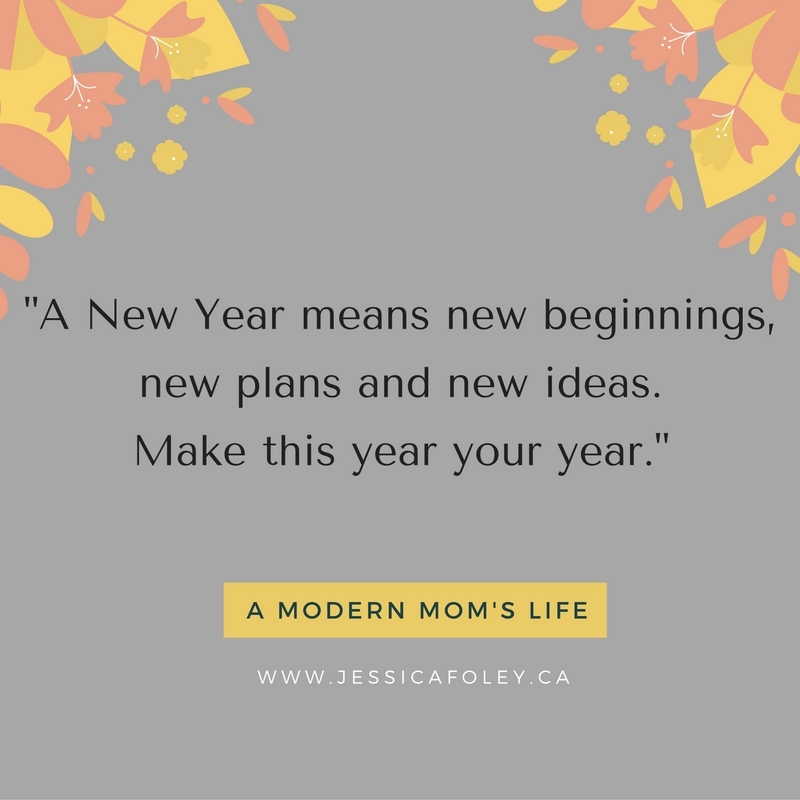 In this new year I want to help other working parents by sharing my experiences and creating content with a focus on real life, family life, and ways to maximize the little time you have as a family. Being a working mom (and then also a blogger) means that my time is sometimes stretched really thin. I’m no expert in time management, or really anything for that matter, but I want to learn along with you, my readers. Get, and keep, my pageviews over 1200. Increase my Twitter following over 5000 – I’d love to participate in campaigns I’ve seen go by that my numbers are too low for! Keep publishing two posts per week, with the odd 3rd post as time permits. Grow my email subscribers. I need to come up with a better email list plugin and then some ideas to actually send out emails! Increase my focus on local events that are family friendly in the Kingston area – and try to go to some of them! I’m still new with posting videos on social media so I want to explore that avenue a little more. Do less book reviews. I love reading but I miss reading what I want to read. One review a month is where I’m heading, although I’m working through a bit of a backlog at the moment! Have fun and learn a little something! I’m sure there are other goals I’ve thought about as far as my blog is concerned, but these are the big ones. Do you have big plans for your blog this year? Or any tips for me? I’m struggling on Facebook most of all (besides that I can’t get people to join my email list) so any hints there would be amazing! A new year means new beginnings, new plans, and new ideas. Make this year your year. I wish you all the successes in the world, in your blog, your job(s) and your lives! Those are ambitious goals! I struggle with getting people to join my email list, too. I really need to look into ways to entice people to join my mailing list. I know offering a “freebie” is a good way, but I don’t know what I could offer! I’m still meditating on that. Thanks for the comment Pam! I too am in the process of readjusting my blog goals. The past five months have been a steep learning curve and I am ready to sort it all out now. It’s nice when you finally get an idea of what you’re trying to achieve. I think I may have had that moment – now I have to figure out how to keep my blog streamlined in that regard! Best of luck to you in sorting it all out! I am a beginner at blogging and work full time and often find it hard to get motivated to even start my blog! Im happy that i read your blog post. Its very inspiring!!! Thanks Liz! I appreciate the support. I’m a working mom and a blogger as well. It can be hard to juggle things, and I’m afraid I didn’t do too well with that last year. I”m recommitting myself to that this year. I’ve liked your facebook page to put you one step closer to 500! Thank you Rabia! The more I think about it, the more I think 500 is unachieveable for me at this time. But I appreciate the support. All the best to you! Great goals! I like to write out my goal numbers for myself as well. It helps me stay accountable in making actionable steps. Best of luck to you in the New Year! Sometimes I just need some motivation to keep on top of everything. I don’t like feeling overwhelmed, but a year is a long time. I tried not to make my goals unattainable! Thanks for your comment Kristin! Loving your blog goals! I definitely am in the same place with many of those! And good idea about book reviews — reading is great and fun, but reviews are a lot of work! I used to do them for a bit. Congrats and good luck in 2017! Ya, my book reviewing has to stay fun or I really lose interest. And I don’t want to saturate my blog with reviews. So cutting back is my plan (for now at least!) Thanks for the kind words. I wish you luck in 2017 as well Alex! Thanks Valerie – lots of luck to you too! I enjoyed your post. Good luck with your goals – they do seem SMART! They sure do keep us focused. I’ve already got a guest post out at another blog – I’ve very excited about that. I hope can achieve a few more of these goals. It’s a bit helpful hearing that others struggle with Facebook as well. Although no one seems to have a really great tip. I guess we’ll just keep plodding along and see how it goes! Thanks for the comment. Thanks for the tip Sarah! It seems like the “nice” season is so far away, but I really should start investigating the local attractions I’d love to visit with the family. Good luck engaging with your local events as well! That’s a great FB tip Catherine! I will start doing that. Thanks for sharing, an commenting on my blog!